31276R Maisto - 1965 Shelby Cobra 427 Convertible. 1:24 scale diecast collectible model car. 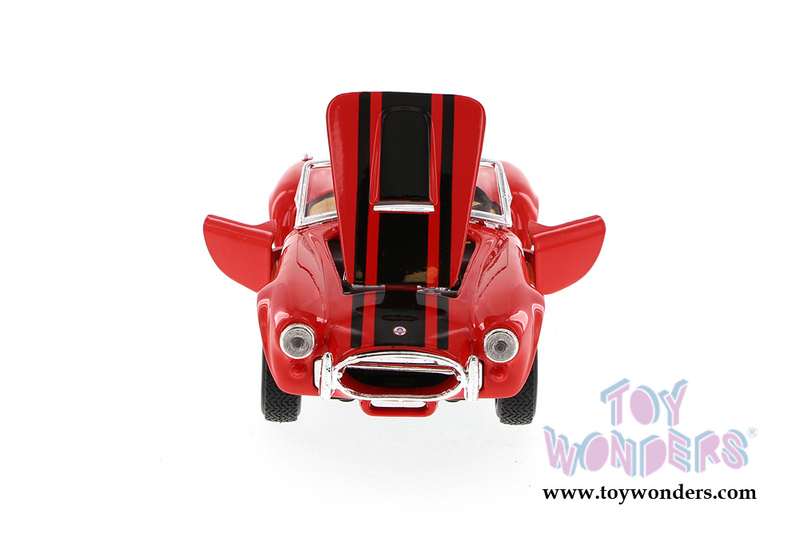 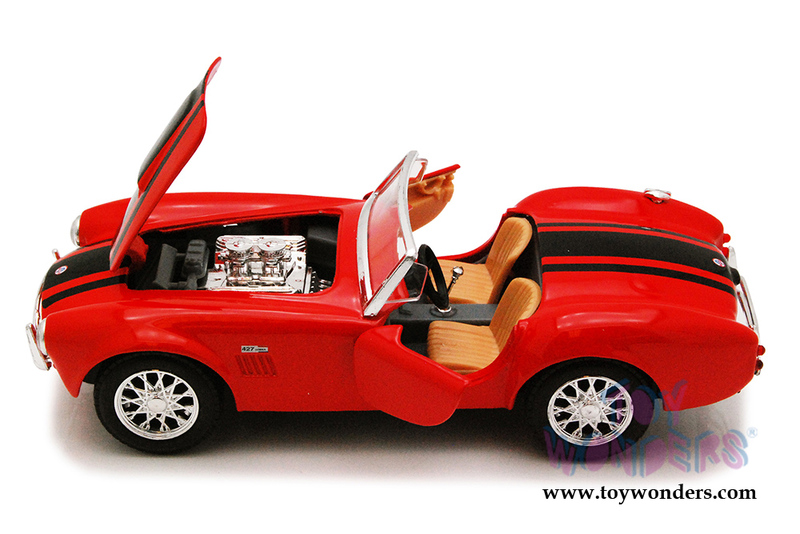 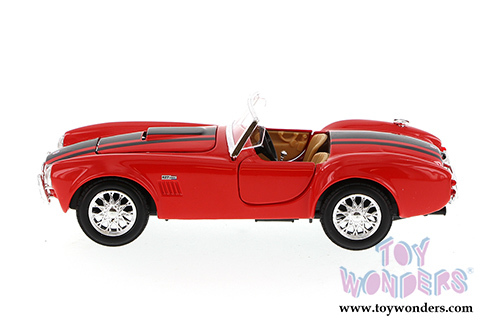 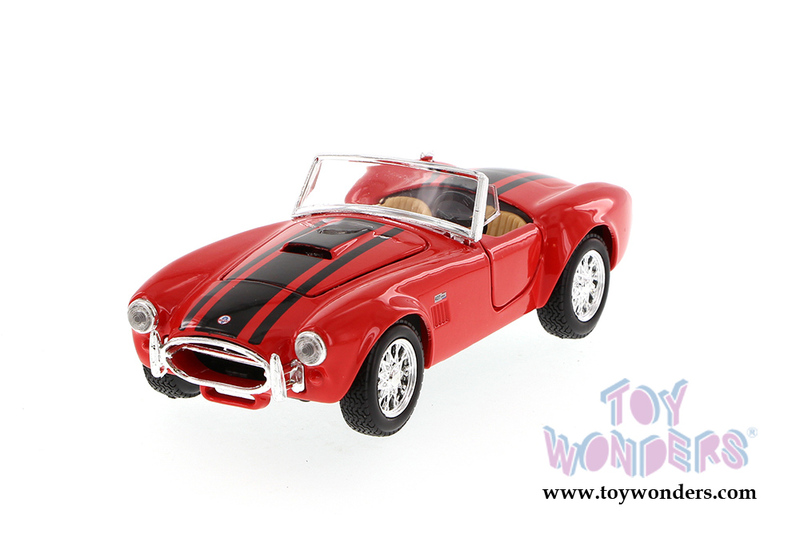 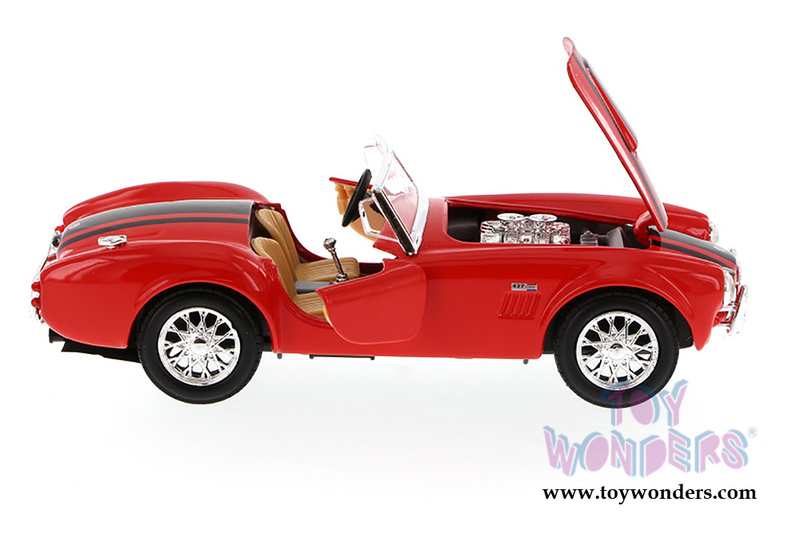 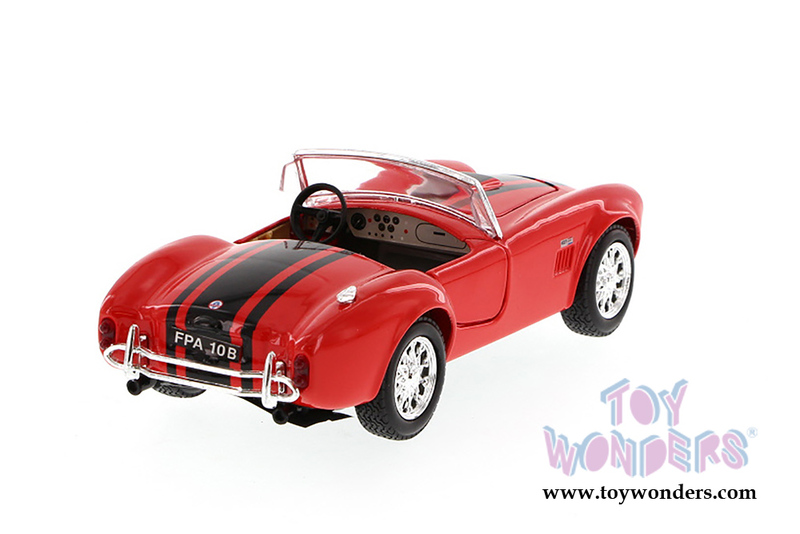 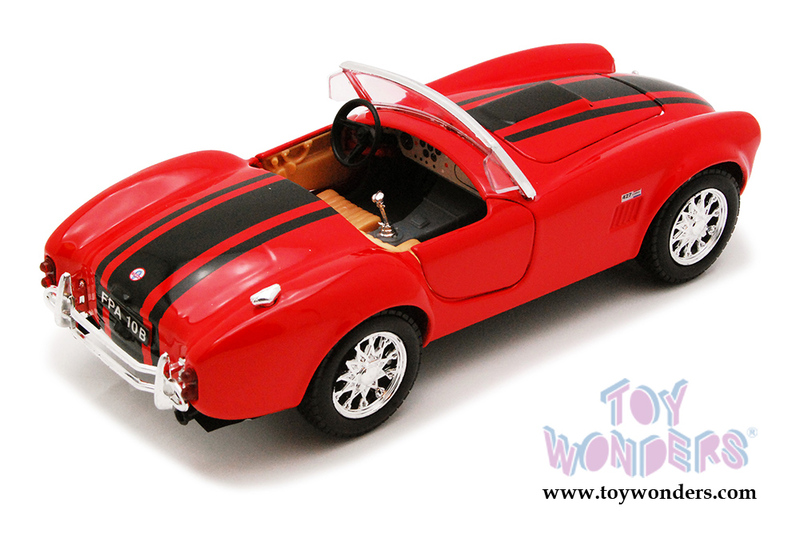 This Shelby Cobra 427 is a 7"Lx 2.75"Wx 2"H diecast metal car with freewheeling, openable doors and hood. The 1965 Shelby Cobra 427 is manufactured by Maisto. 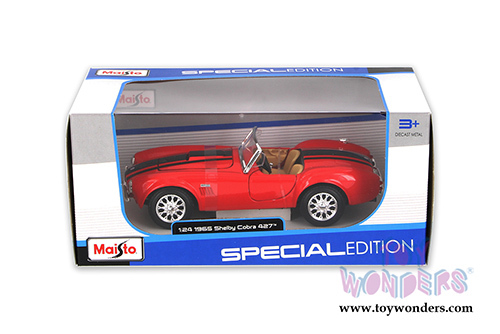 Each individually packed in a window box WB, and box size is 9"Lx 4.5"Wx 4"H. 31276R is in RED color.